DULLES, Va.Feb. 20, 2014-- Orbital Sciences Corporation (NYSE: ORB), one of the world s leading space technology companies, today announced that it has signed a commercial launch contract with Skybox Imaging to carry six high-resolution imaging and video-capable spacecraft into low-Earth orbit (LEO) in late 2015 from Vandenberg Air Force Base, CA. 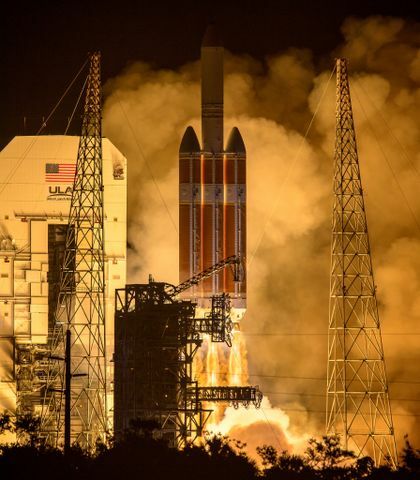 The Skybox spacecraft will be launched aboard the Minotaur-C space launch vehicle, a commercial variant of the company s Minotaur product line that serves the U.S. government market. The mission will be overseen by the same Small-Class Launch Vehicles unit of the company s Launch Systems Group that has executed 25 consecutive successful Minotaur launches since 2000. Financial terms of the agreement were not released. We are very pleased to have been selected by Skybox Imaging for this exciting opportunity, said Mr. David W. Thompson, Orbital s Chairman and Chief Executive Officer. 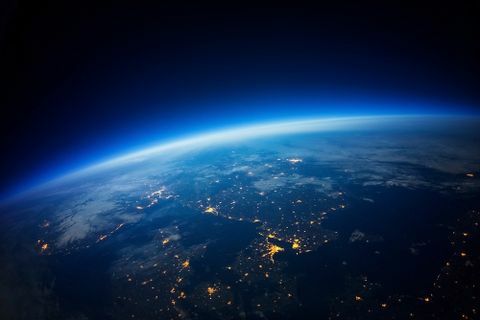 As fellow participants in the expansion of the commercial space industry, Orbital and Skybox share similar values of innovation, affordability and reliability, which make this partnership a perfect fit. We have offered options for additional launch services to support the development of Skybox s business, and we are looking forward to the opportunity to forge a long-term, multi-launch relationship with their team. The Minotaur-C rocket will use four solid rocket motors supplied by ATK as its propulsion system, all of which have been flown dozens of times and thoroughly flight-proven in various combinations on Orbital s other small space launch vehicles, including Pegasus, Taurus and Minotaur, as well as on the company s Orbital Boost Vehicle (OBV) long-range missile defense interceptor. It will also incorporate numerous design features that are common with the Minotaur product line, such as the rocket s electrical power system, payload fairing, flight termination system, navigation sensors and RF components. In addition, the Minotaur-C will utilize its SkySat satellite dispenser, currently in design by the Minotaur team, which will be built and tested at the company s Chandler, AZ launch vehicle design and engineering facility. Orbital s family of small space launch vehicles provides reliable right-sized launch services that are the industry standard for boosting small payloads to orbit. 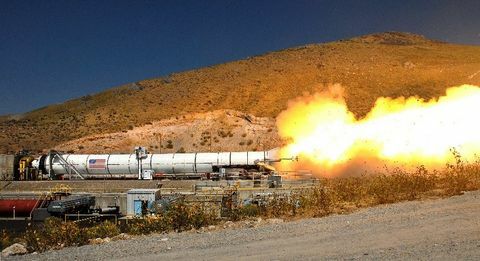 From the innovative air-launched Pegasus to traditional ground-launched rockets like the Minotaur family of launchers, Orbital s small-class launch vehicles share flight-proven propulsion, avionics, engineering teams, production and testing facilities, and management systems to provide low-cost and reliable access to space. Skybox Imaging (Skybox) empowers global businesses to make better decisions with timely, high fidelity imagery and infinite analytics. By combining the power of web technologies and a constellation of high-resolution imaging satellites, Skybox is generating a unique data source describing daily global activity with timely, accessible, sub-meter color imagery and high definition video of the Earth. Founded in 2009, Skybox Imaging is backed by leading venture firms and comprised of internet and aerospace professionals. For more information, visit www.skybox.com.